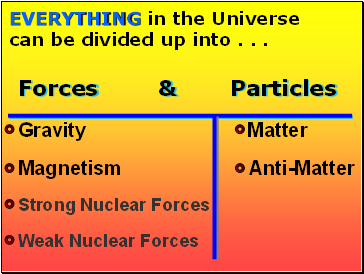 EVERYTHING in the Universe can be divided up into . . . 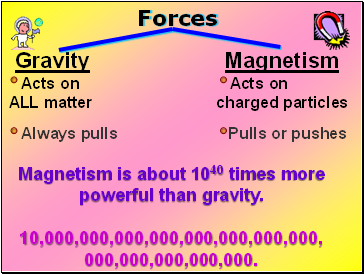 Magnetism is about 1040 times more powerful than gravity. 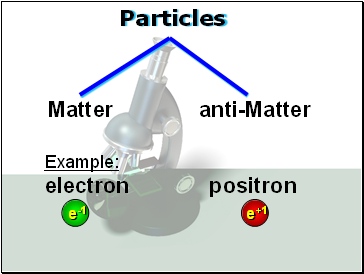 The picture below shows three objects that can be classified in the same group. 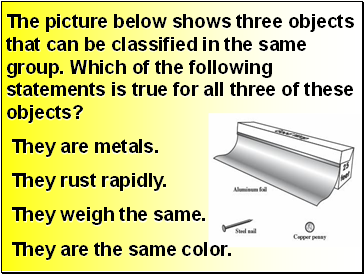 Which of the following statements is true for all three of these objects? They are the same color. 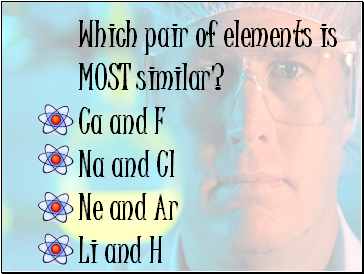 Which pair of elements is MOST similar? 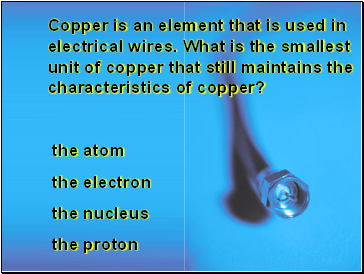 Copper is an element that is used in electrical wires. 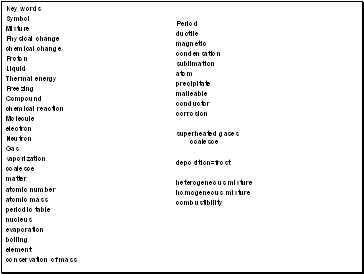 What is the smallest unit of copper that still maintains the characteristics of copper? 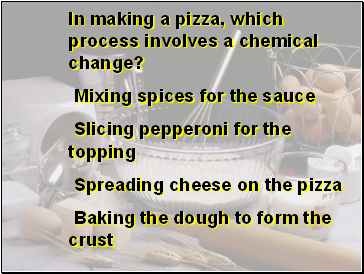 In making a pizza, which process involves a chemical change? Which of the following is a compound? 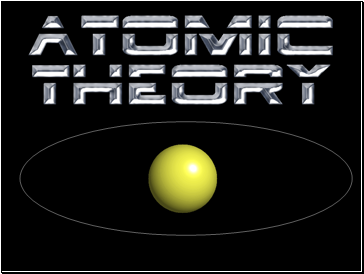 Which is an example of a chemical change? 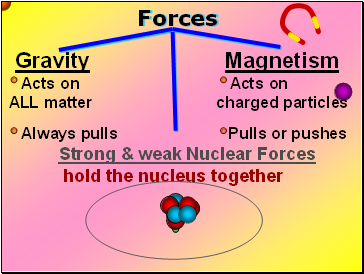 Which statement is correct concerning the mass of a ball of clay? Mary wants to find the density of a small stone. Which tools will she need?